Another round of severe thunderstorms is expected over the Alpine region, north Italy, northern Adriatic the northern Balkans into the Pannonian basin. 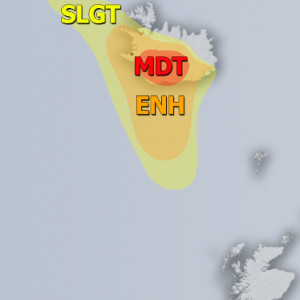 A shortwave trough passes over the Alpine region today, producing a new round of severe thunderstorms. The region saw widespread thunderstorms yesterday and last night, however, increased shear enhances the threat for organized thunderstorms with high severe potential. Virtually all models agree that high to extreme instability will build up over much of the region. North Italy and the northern Adriatic should see MLCAPE in the 2000-3500 J/kg range, with PWAT 45-50 mm! The western Pannonian basin (SE Austria, NE Slovenia, E Croatia, W Hungary) will also see high instability with MLCAPE in 1500-2500 J/kg range and PWAT in 35-45 mm range. Much depends on the moisture recovery after MCS over both regions last night. A narrow, moderate mid-level jetstreak passes over the region through the day with 30 kt southwesterly 500 mbar winds. 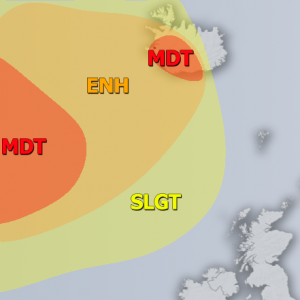 Southeasterly surface winds will be present across much of the region, resulting in up to 30-35 kt DLS and 100-200 m2/s2 SREH3, favourable for development of multicells and supercells. WRF model guidance for instability over the region today. 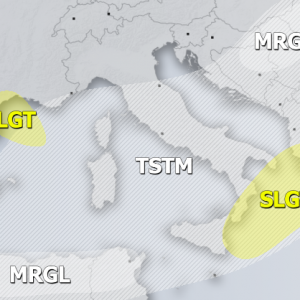 Map: Consorzio LaMMA, MeteoAdriatic. Expect a squall line / QLCS developing and moving across the region. North Italy will see the first storms, likely by late morning, moving across NE Italy, north Adriatic sea, S Austria and Slovenia in early to mid afternoon and across Croatia into Hungary, north Serbia and western Romania. Expect discrete supercells within the developing QLCS in late morning and into early and mid afternoon, coalescing into several large MCS in the late afternoon and into evening hours. The main threats with storms over N Italy and N Adriatic is extremely intense torrential rainfall, severe wind gusts and large hail. Storms over the eastern part of the threat area will present threats for torrential rainfall, severe wind gusts, large to very large hail. Tornado threat will also be enhanced with these storms.